Why Hasn’t the Food Industry’s 6 Trillion Calorie Cut Made a Dent? In 2010, the Healthy Weight Commitment Foundation (HWCF), whose members include PepsiCo, General Mills, Coca-Cola, Kraft, and many other large food manufacturers, voluntarily pledged to collectively sell 1 trillion fewer calories in the U.S. marketplace by 2012 and 1.5 trillion fewer by 2015. Between 2007 and 2012, the 16 HWCF food and beverage manufacturers met and exceeded their (2010) pledge, selling 6.4 trillion fewer calories from the marketplace in total, which translates to a reduction of 78 [calories per person per day]. 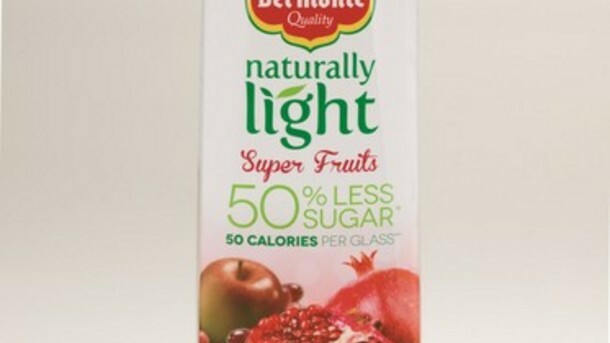 The industry was able to achieve huge cuts by reformulating existing heavily-processed fare like sweets and snacks, shelf-stable juices, carbonated soft drinks, fats, oils, sauces, condiments and baked goods. In other words, your chips may now have less fat; your breakfast cereal may have fewer grams of sugar; and your chocolate chip cookies may be a little smaller. One would think that a reduction in sales of 78 calories per person every day would translate into some measurable improvements in the health of Americans–perhaps a slight downward trend in the overall obesity rate? Not exactly. Back in January, Margo Wootan, director of nutrition policy at the Center for Science in the Public Interest explained that such a reduction was indeed significant. “The whole obesity epidemic can be explained by an extra 100 to 150 calories a day,” she said. So why aren’t we seeing evidence of these kinds of drops? According to the Trust for America’s Health and RWJF’s latest report, The State of Obesity: Better Policies for a Healthier America, rates of adult obesity rose in six geographically diverse states in 2013 (Delaware, Tennessee, Alaska, Wyoming, New Jersey, and Idaho). Not a single state saw a decrease. In contrast, the rate of obesity increased in just one state from 2011 to 2012. In other words, the rates appear to be trending up, not down. Yet the food industry is portraying their voluntary calorie cutback as a public health success story. The industry’s Healthy Weight Commitment website boasts this headline: Food Industry Leaders Finding Ways to Help Solve Nation’s Obesity Epidemic. Meanwhile, Indra Nooyi, chief executive of PepsiCo and chair of the Healthy Weight Commitment Foundation, has had no trouble claiming that that calorie cutback was having a real influence, in spite of the lack of evidence. “Our industry has an important role to play in helping people lead healthy lives and our actions are having a positive impact…We see continued opportunities to give consumers the choices they’re looking for and to work collaboratively with the public and nonprofit sectors on initiatives that enable continued progress,” she told the LA Times in January. Of course, it’s hard to imagine that the calorie cutback alone would translate into a healthier overall American diet since reformulated processed food is still a far cry from real, whole ingredients. There are some interventions that are making a measurable difference in the health of Americans. CDC data released in February 2014, showed a remarkable 43 percent drop in obesity rates among 2- to 5-year-olds from 2003 to 2012. This very young segment of the population has likely benefited from being the focus of targeted policy and program interventions including WIC nutritional improvements, promotion, and implementation of improved standards for day care food, beverage, and physical activity and, promotion of and an increase in breastfeeding, which is associated with lower childhood obesity rates. Despite this evidence, food and beverage giants continue to devote considerable funds and lobbying muscle toward killing or weakening important nutrition-related legislative policies and regulations including healthy school nutrition standards, front-of-package labeling, calorie labeling, a sugary drink warning label, nutrition standards for kid’s fast food meals, and an updated nutrition facts panel that includes added sugars. A soda tax of one or two pennies per ounce, which has already lowered sugary drink consumption in Mexico by an impressive 10 percent, has been derailed in dozens of locations in the U.S. by an influx of Big Soda dollars and vigorous industry opposition. Indeed, if the food industry’s goal is to maintain the status quo, while appearing to work for measurable change, they’ve certainly reached it. But let’s hold back on the standing ovation for now.